November 2001 is a month we will never forget. Our eldest daughter (just one year old at the time) was burned by a cup of tea. Something like that happens in a split second and what goes through your mind is impossible to describe. You do what you think is best. We called a doctor, who didn’t want to come, so we had to go by ourselves. In the end the manager of the local supermarket drove us to the doctor, who directly referred us to the hospital. Unfortunately the hospital couldn’t do anything for us and we are brought by ambulance to the burn center BWC in Rotterdam. A medical team were waiting for us and to be honest, despite all emotions, sadness and pain, they took care of us in a fantastic way. Our daughter stayed in BWC for three weeks. She underwent surgery in order to accelerate the closing of the burns, where the doctors removed skin from her thigh to transplant it to the wound. After three weeks we could finally take her back home. We were glad to be home again, but we didn’t expect that there would be more challenges ahead. She didn’t want a bath (we think the bath reminded her to the bath in BWC), poor sleeping because of itching and to resume the activities of daily life was harder than expected. Fortunately we were able to ask all of our questions to the aftercare of the BWC. The wound recovered very well, so we were discharged from the hospital after a few years of follow-up checks. Now, after 15 years, our grief and pain has faded but there are still some emotional moments. Due to her young age at the time, she did not experienced it as dramatic.but it was still an unpleasant period for her. Now she enjoys life. 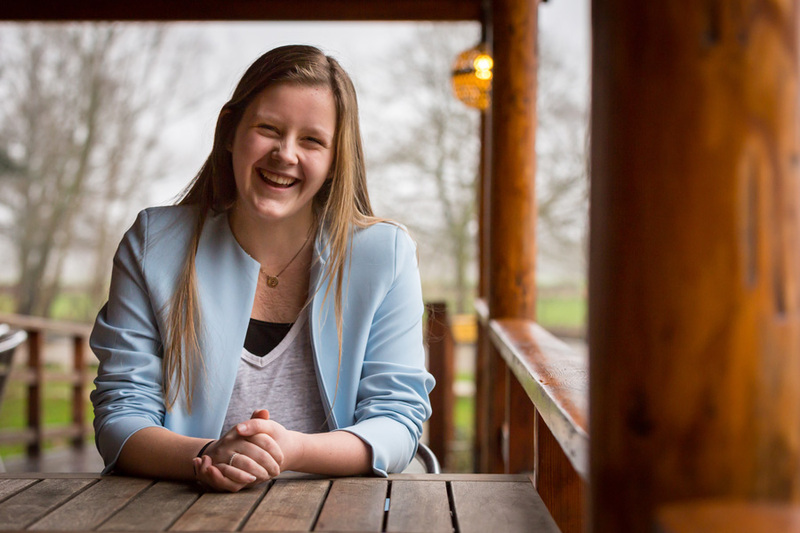 After primary school, she did four years of VMBO and in 2015 she started studying graphic design in Utrecht. When she saw the call from Humeca on Facebook for models she didn’t hesitate. With the photoshoot, she wanted to show that even though you are scarred for life, you can enjoy and love life! Look, I am worth it! I am also a pearl in God’s hands. despite the cold, she really enjoyed the photoshoot. She has become a wonderful daughter and sister, who is confident in life despite of her scars.